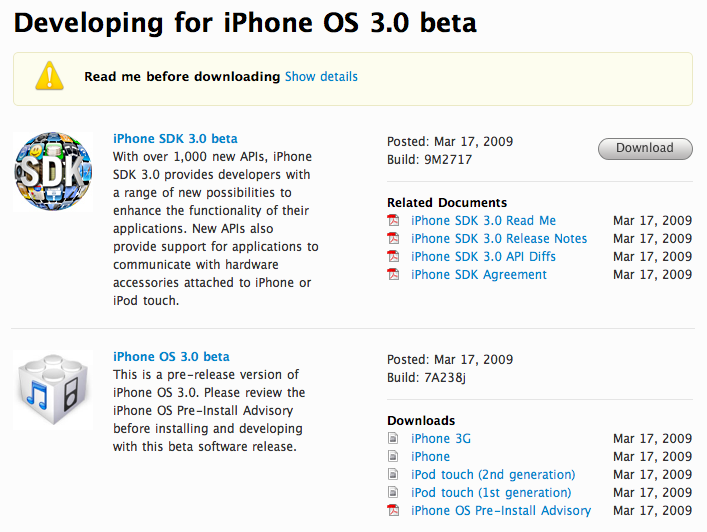 iPhone Developers Given Access to iPhone 3.0 SDK and Firmware Starting Today (Updated)! 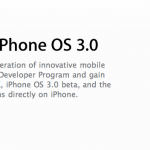 After the 3.0 preview Tuesday, Apple has updated the iPhone Developer Connection website to let developers get their hands on the 3.0 SDK and firmware. 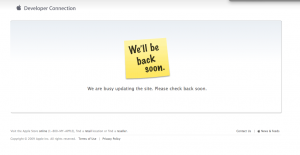 The site which normally hosts the latest firmwares and SDK releases and notes is temporarily down and displays the famous sticky note reading “We’ll Be Back Soon” from the online Apple Store. In the 3.0 event, over 1000 new API’s have been opened up to developers including the Push Notification Service, which is finally making light since the WWDC 2008 preview (and promised September 2008 availability date). Apple promised all current and future iPhone developers will have access to the new firmwares and SDK builds- but is unclear at this time if that extends to non-paid iPhone developers. Update: [3:22 PM EST] The Apple Developer homepage (developer.apple.com) and other pages (here) has been updated with new iPhone SDK information but the iPhone Developer Center is still down. Update: [3:37 PM EST] The iPhone Developer Center is back up, fresh with new content for 3.0. We are combing through it now and will post up interesting finds soon. 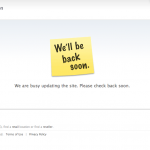 Note: the site is being very unresponsive. Update: [5:02 PM EST] The iPhone Developer Center, while up, has not let us log in yet. Update: [5:42 PM EST] The iPhone Developer Center, is still being very temperamental, but we have managed to get a look and begin downloads of 3.0 software! More information will be coming as soon as we can get it.